Despite our best efforts, we often don’t get the critical nutrients our bodies need to be as healthy as possible. 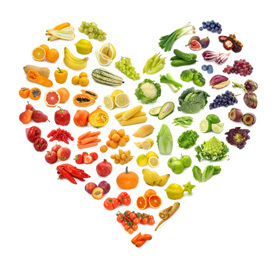 That’s why we are pleased to offer nutritional counseling at Dr. Robert Shire. We have partnered with C&J Nutrition who are experts at their craft. Owners Stephanie Clarke, MS, RDN and Willow Jarosh and their team are passionate about helping our patients enjoy better health through nutrition. As the co-founder of C&J Nutrition, Stephanie is passionate about making healthy eating a natural part of people’s lifestyles. She possesses a Bachelor of Science in Dietetics and a Master of Science in Nutrition Communications and is a registered dietitian and nutrition communications specialist. In addition to attaining a bachelor’s degree from the University of New Mexico, Willow earned a Master of Science in Nutrition Communications from Tufts University. As the co-founder of C&J Nutrition, she loves educating others about the power of food. As a New York City-based registered dietitian, Rachel works as a clinical dietitian at New York-Presbyterian Hospital-New York Weill Cornell Medicine. She earned a Master of Science in Clinical Nutrition at New York University. At C&J Nutrition, Rachel helps to plan, develop and implement wellness programs in the workplace. Stephanie and Willow believe that if nutrition advice, tips and information aren’t practical, they won’t work for the long term. That’s why everything they do for you will be based on you. They will work with you to create a customized nutrition plan that will help you reach your nutrition and health goals in a realistic, practical and applicable way that fits your lifestyle. If your nutrition could use a boost, contact us today to book an appointment!